The specials on today’s plate include a new training method for POS, a new partner joins the Mici Handcrafted family and Southern Glazer’s cleaning up at the Golden Bar Awards. Send news items of interest to Modern Restaurant Management (MRM) magazine’s Executive Editor Barbara Castiglia at bcastiglia@modernrestaurantmanagement.com or modernrestaurantmanagement@gmail.com. There are many factors at play affecting the high employee turnover in the restaurant industry such as wage issues and the ebb and flow of seasonal workers, making the role of training come to the forefront in any restaurant management plan. Real World Experience: Transactions are not included in reporting and payments are not processed, so new servers can practice workflows like swiping credit cards, splitting checks, comps, voids, splitting payments and using signature on screen – without having to void everything at the end. Convenience for Everyone: Training Mode can be turned on for a single or multiple terminals, allowing for training when needed, without disrupting service on the floor. Portability: Training Mode is accessible outside of the restaurant, so new hires can participate in training from home. Transactions are not included in reporting. Payments are not processed, so new servers can practice workflows like swiping credit cards, splitting checks, comps, voids, splitting payments and using a signature on screen. Training Mode can be turned on for a single or multiple terminals, allowing for training when you need to, without disrupting service on the floor. It’s easy to access. Tap a tile on the home screen to enter. Tap the training bar to exit. Descriptive pop-ups walk employees through features specific to their role, so there’s no need to supervise or shadow someone at the POS to learn the basics. Training Mode is available to all Breadcrumb customers running version 2.11 or higher. 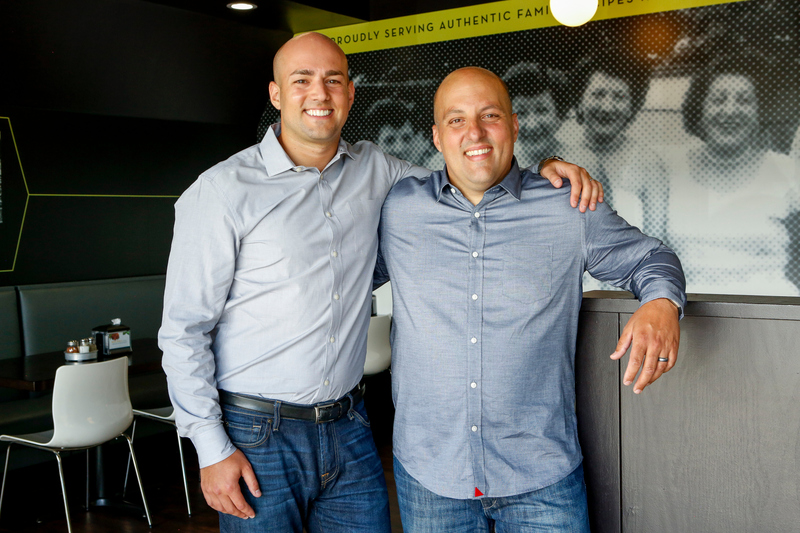 Mici Handcrafted Italian, a family-owned four-unit fast casual chain based out of Denver, welcomed local restaurant executive Elliot Schiffer as Partner and CEO. 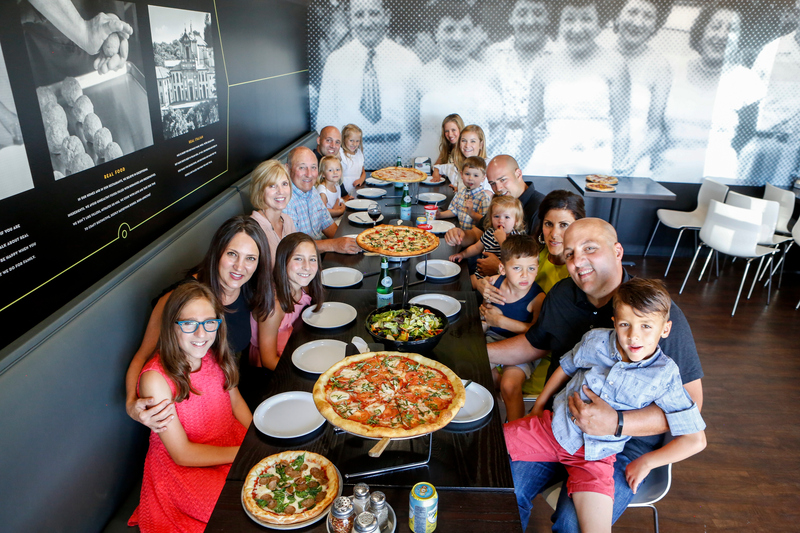 The Miceli family currently operates four locations in the Denver metro area: Downtown Denver, 7th and Colorado, Stapleton, and Highlands Ranch; all of which offer dine-in, delivery and catering. Having just completed a Series A financing, under Schiffer’s leadership Mici expects to streamline operations and enhance their already stellar menu in preparation to expand further into Colorado and beyond. Schiffer, who earned an MBA in Entrepreneurship, Marketing and Finance at Northwestern University’s Kellogg School of Management, was previously Senior Vice President of Non-Traditional Development for Denver-based Smashburger. From 2014 to 2017, Schiffer developed 21 high revenue Smashburger locations in airports, casinos and college campuses. He also ran Smashburger’s Real Estate Analytics, playing a major role in location selection for 25 corporate and 30 franchise restaurants per year. Prior to Smashburger, Schiffer began his career under Richard Melman at Lettuce Entertain You [LEYE] in Chicago, where he helped develop the M Burger concept and was Manager at Papagus Greek Taverna, Osteria via Stato and the Joe’s Seafood, Prime Steak and Stone Crab. In 2004, siblings Jeff, Michael and Kim Miceli opened the first Mici Handcrafted Italian in downtown Denver as a venue to showcase their family’s recipes. Since then, they have opened three additional locations, including their flagship store model in Stapleton. The Taco Bell Foundation plans to award $10 million in Live Más Scholarships by 2022. This plan is part of Taco Bell’s broader long-term commitment to support the education and professional dreams of its employees and aspiring youth in the communities where the brand does business. Since the scholarship first opened in 2015, the Taco Bell Foundation has awarded $2.8 million to its Live Más scholars and plans to award $1-2 million each year through 2022 to meet the $10 million goal. The Live Más Scholarship program is designed to help innovators, creators and dreamers aged 16-24 pursue unique education and career passions that may not necessarily fit into the conventional “academic” or “athletic” scholarship categories. In the spirit of the scholarship, Taco Bell partnered with some of its favorite innovators, creators and dreamers to unveil and celebrate its Year 2 winners through personalized announcements shared over social media. Each of this year’s 170 recipients, who include 55 Taco Bell employees, received scholarships ranging from $5,000-$25,000, totaling $1.5 million in funding. They join Taco Bell Foundation’s 2016 class of 270 winners, who received $1.3 million total in scholarships. These restaurant employee scholarships are primarily funded by Taco Bell owners. The Foundation’s plan to award $10 million in Live Más Scholarships by 2022 comes on the heels of Taco Bell’s commitment to hire 100,000 new employees by 2022. To raise money for the scholarship fund, the Taco Bell Foundation has partnered with Taco Bell on several in-store activations, including two national fundraisers and the two-week Feed a Dream campaign earlier this year, during which time Taco Bell donated a portion of proceeds for every Doritos® Locos Taco purchased to the scholarship. The second national fundraiser will take place during the Foundation’s 25th anniversary, Aug. 31 through Sept. 14, when fans are invited to visit their local Taco Bell restaurant and donate $1 to support scholarships and programs. For more information, click here. The California Labor Commissioner’s Office cited a Jack in the Box franchise operator $903,084 for misclassifying 40 managers as exempt and denying them overtime pay. Nor-Cal Venture Group, Inc. owns 26 Jack in the Box franchises in California, most of which are in the greater Sacramento area. The Labor Commissioner’s Office opened an investigation after receiving a complaint and found that 40 employees were misclassified as exempt. As managers, they were required to work a minimum of 45 hours per week with no overtime, regardless of how many hours they worked. Managers who spend less than half of their work time on managerial duties must be paid overtime. Managers who spend less than half of their work time on managerial duties must be paid overtime. Investigators determined that the 40 workers were performing the same duties as other employees. The citations issued to Nor-Cal Venture Group, Inc. include $416,783 in unpaid overtime wages and penalties, $218,227 in minimum wage violations and penalties, $169,427 in liquidated damages and $98,647 in waiting time penalties for 16 of the workers, who were not paid at the conclusion of their employment. When workers are paid less than minimum wage, they are entitled to liquidated damages that equal the amount of underpaid wages plus interest. Worker misclassification results in an estimated loss of $7 billion each year in payroll tax revenue to the state. Employees misclassified as independent contractors are also frequently underpaid and do not have on-the-job benefits and protections, including workers’ compensation coverage, family leave, unemployment insurance, the right to organize or join a union, and protection against employer retaliation. Southern Glazer’s Wine & Spirits, the largest North American wine and spirits distribution company, said its Coastal-Pacific Wine and Spirits dedicated selling division, representing Diageo across 12 open and 17 Control States, was awarded eight National and 15 local Golden Bar Awards. The recognition included the prestigious and coveted National Distributor of the Year Golden Bar Award, won by Coastal Wine & Spirits of Florida. 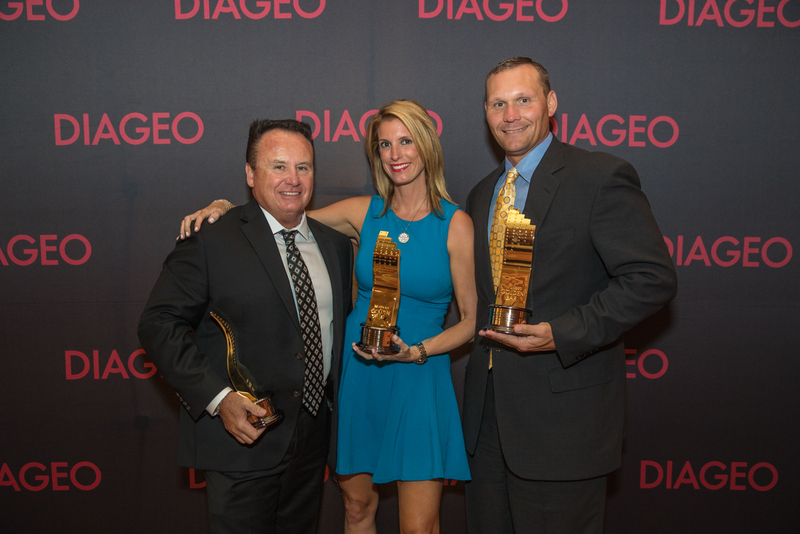 Diageo’s National Awards event recognizes distributors across the U.S. for their performance on key brands as well as achievements in sales, marketing, and promoting responsible drinking. The Local Awards event recognizes top individual and team performances across each Diageo division. Golden Bar winners receive a 24-karat trophy produced by the same company who produces the Academy Awards. At the Local Golden Bar Awards, Southern-Glazers’ Wine and Spirits of Nevada was recognized as the top performer on Diageo’s Innovation brands, driven by strong depletion and distribution on new brands including Crown Royal Vanilla Canadian Whiskey, Ciroc Mango Vodka and Hilhaven Bourbon. 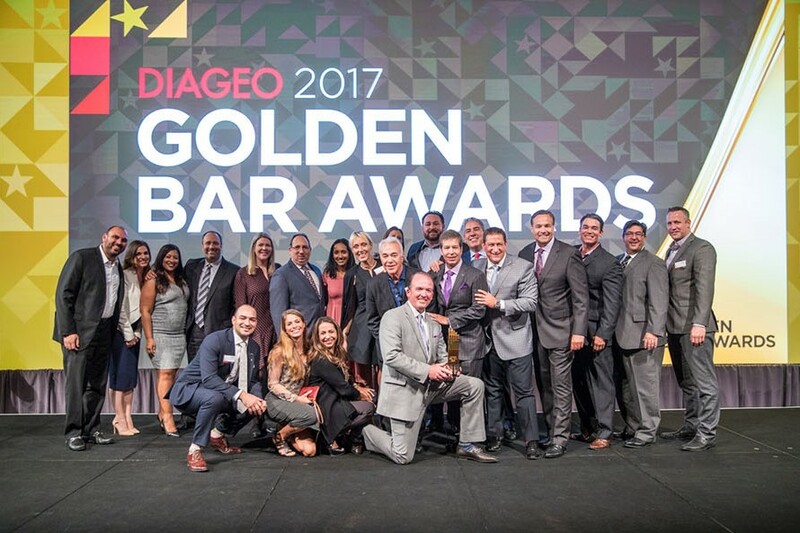 In addition, 15 individuals from Coastal-Pacific Wine & Spirits Open and Control states were awarded prestigious Golden Bar Awards across four categories for their outstanding individual performance and leadership during Diageo’s Fiscal Year 2017. Completing the night, Coastal-Pacific Wine & Spirits and Coastal-Pacific Wine & Spirits Brokerage Distributor of the Year Awards were also awarded to the top Open and Control markets within the division. The company has operations in 44 U.S. states and the District of Columbia, Canada, and the Caribbean, and employs more than 20,000 team members.